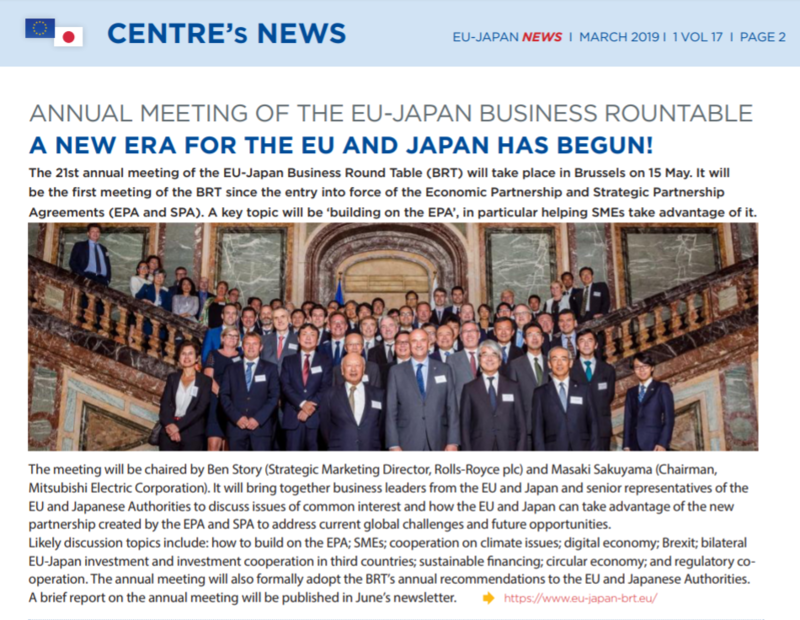 EU-Japan NEWS is the quarterly newsletter of the EU-Japan Centre launched in 2003 and containing EU-Japan-related news and features on topics of interest to EU and Japan businesses and public bodies. 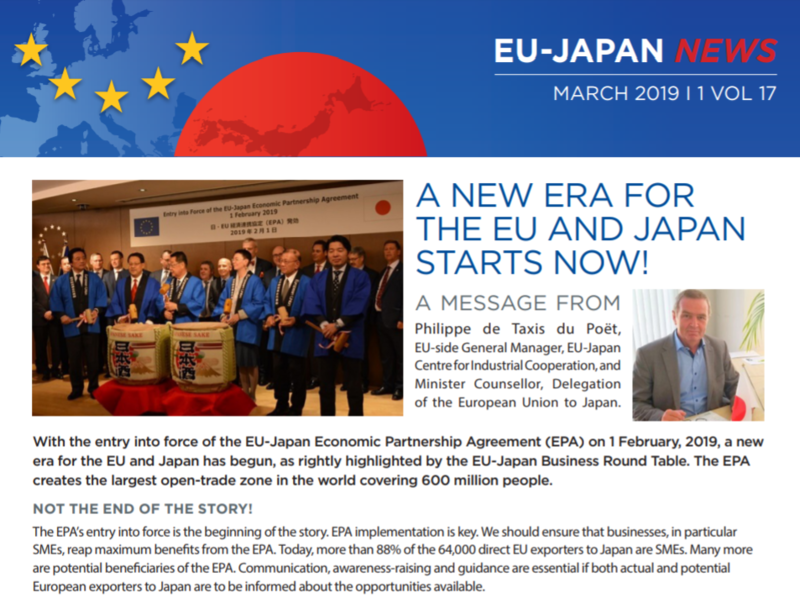 The newest issue of the March 2019 Newsletter is available now with the EU and Japan related news, partnering opportunities, Enterprise Europe network news and lots of other useful information and links. 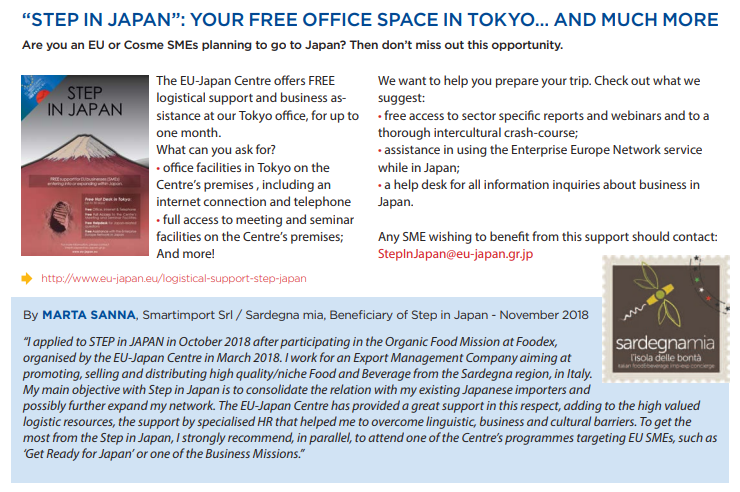 EU-Japan Centre for Industrial Cooperation is a unique venture between the European Commission and the Japanese government. It is a non-profit organisation established as an affiliate of the Institute of International Studies and Training (IIST). 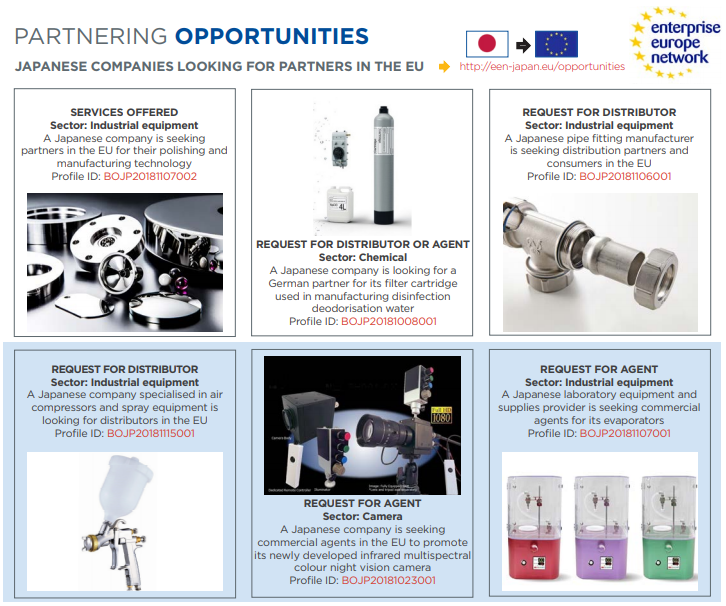 It aims at promoting all forms of industrial, trade and investment cooperation between the EU and Japan and at improving EU and Japanese companies’ competitiveness and cooperation by facilitating exchanges of experience and know-how between EU and Japanese businesses. 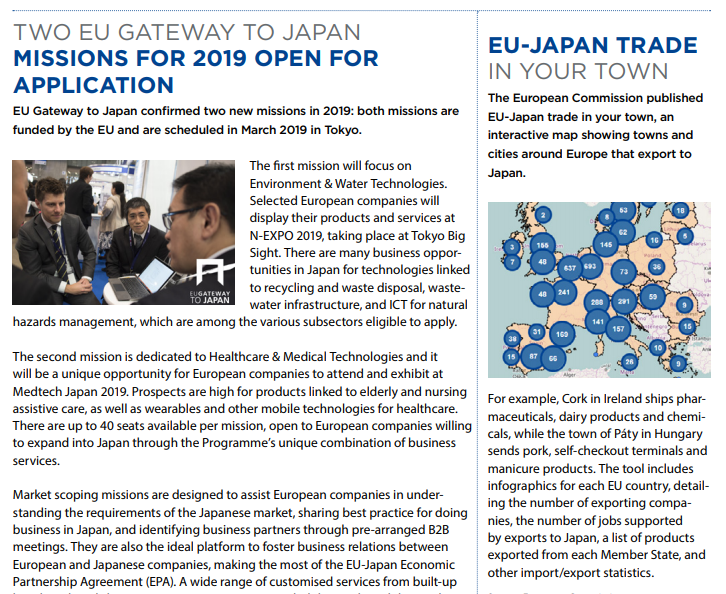 You can read full March 2019 Newsletter here! 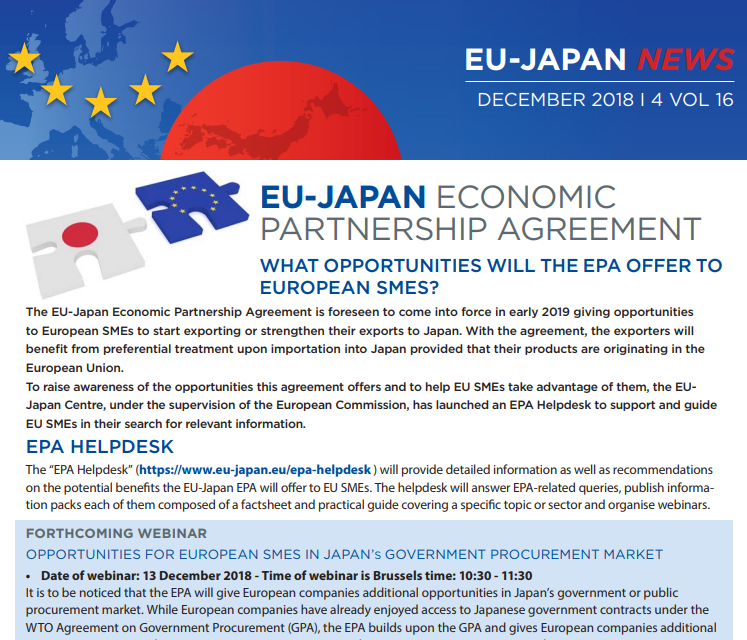 The newest issue of the December 2018 Newsletter is available now with the EU and Japan related news, partnering opportunities, Enterprise Europe network news and lots of other useful information and links. 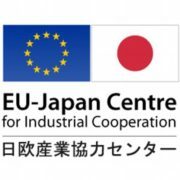 EU-Japan Centre for Industrial Cooperation is a unique venture between the European Commission and the Japanese government. It is a non-profit organisation established as an affiliate of the Institute of International Studies and Training (IIST). 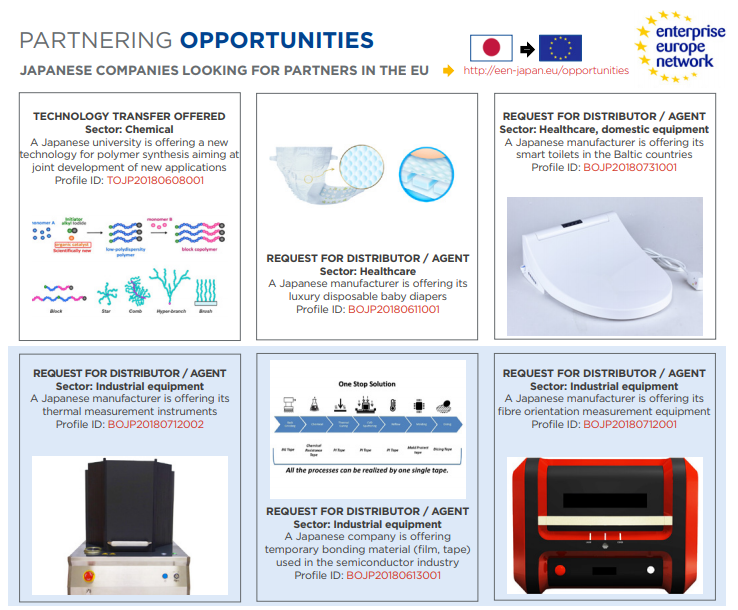 It aims at promoting all forms of industrial, trade and investment cooperation between the EU and Japan and at improving EU and Japanese companies’ competitiveness and cooperation by facilitating exchanges of experience and know-how between EU and Japanese businesses. 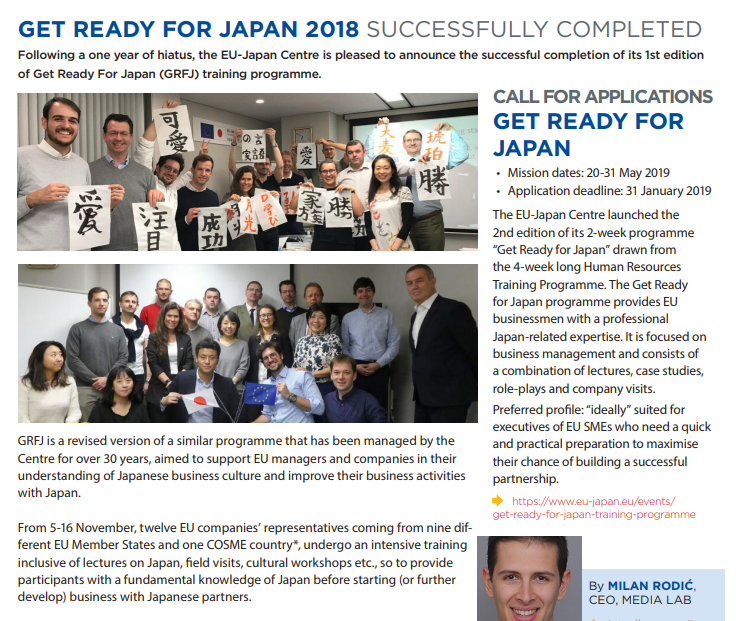 You can read full December 2018 Newsletter here! 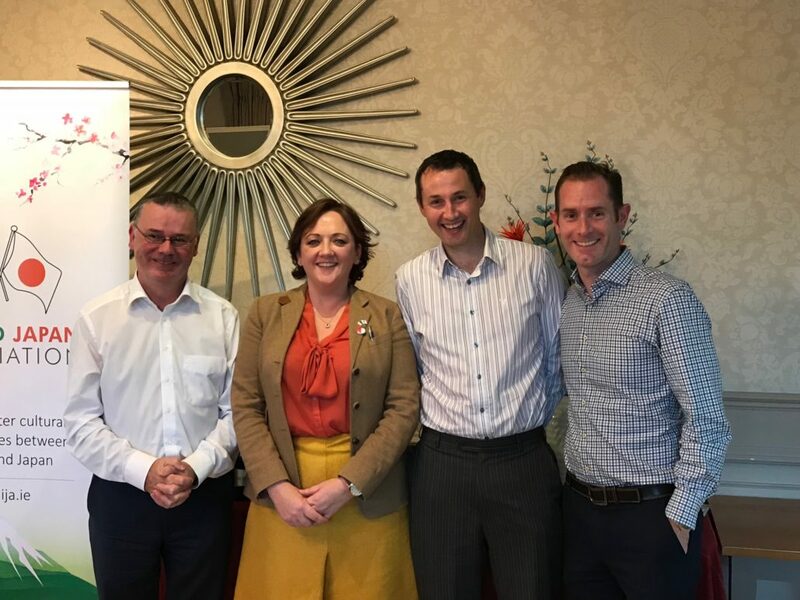 Ireland Japan Association (IJA) is delighted to welcome professional services firm Grant Thornton on board IJA as a Corporate member and is looking forward to a long lasting and successful cooperation. Grant Thornton Ireland is the fast-growing professional services firm and the Japan Desk has been established in Dublin to deliver services to Japanese companies. Grant Thornton provide assurance, tax, advisory, and especially is focused on BPO (Business Process Outsourcing) services by collaborating across global member firms. 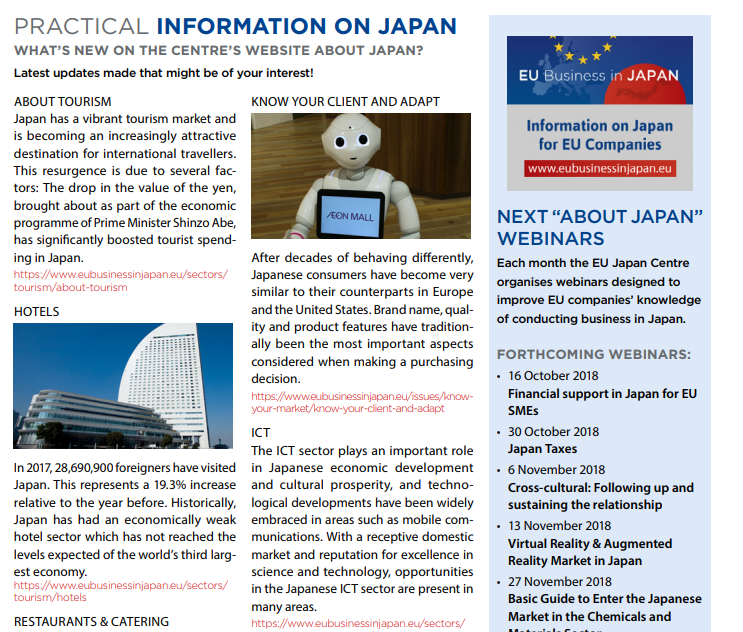 Please follow the link to see Japan Desk brochure here! Please follow the link to see FAAS brochure here! 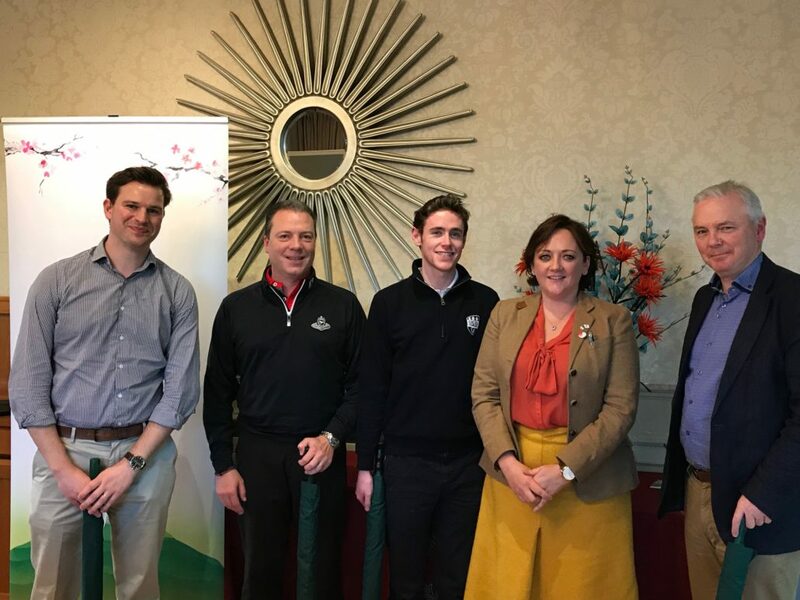 Annual IJA Golf Outing took place on 11th October at the stunning Hermitage Golf Course on the banks of the river Liffey. 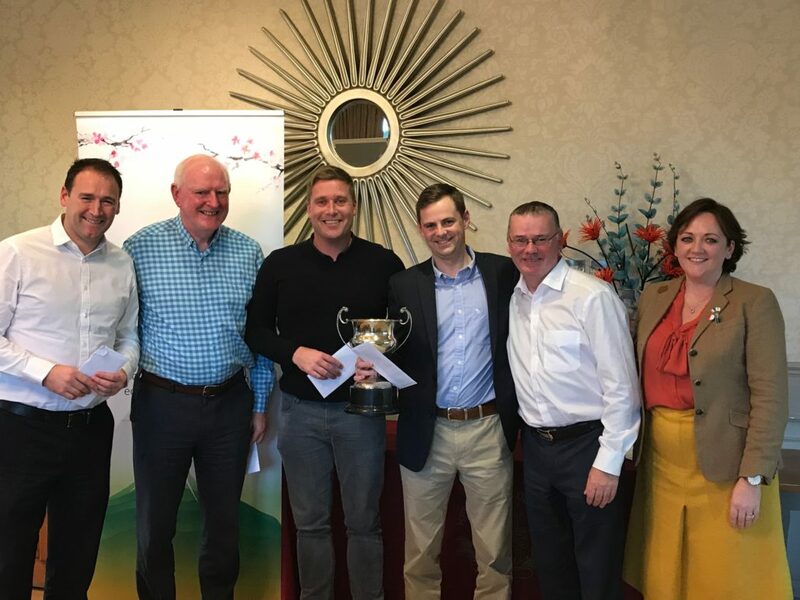 We would like to thank all the teams who participated in the tournament and send special congratulations to the winners – Bank of Ireland Team! Congratulations also to Uniqe Japan Tours team and Dillon Eustace team for participating in the tournament. 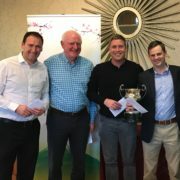 Many thanks to everybody who helped to organize this event, our hosts at the Hermitage golf club and all the participants. Many thanks to KWE Ireland, ANA, Dillon Eustace and BOI for prize sponsorship. We are looking forward to our Golf Outing 2019 next year! 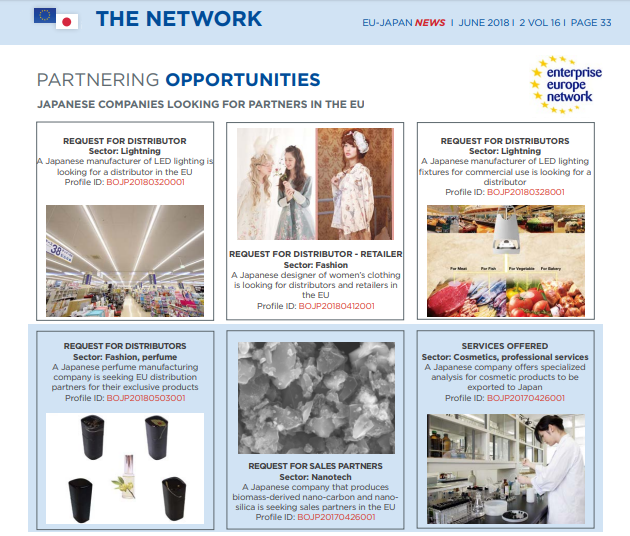 The newest issue of the October 2018 Newsletter is available now with the EU and Japan related news, partnering opportunities, Enterprise Europe network news and lots of other useful information and links. 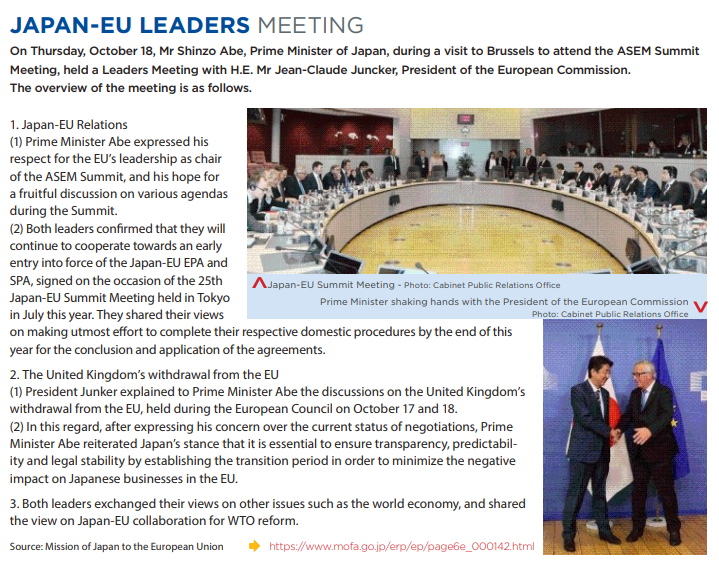 You can read full October 2018 Newsletter here! 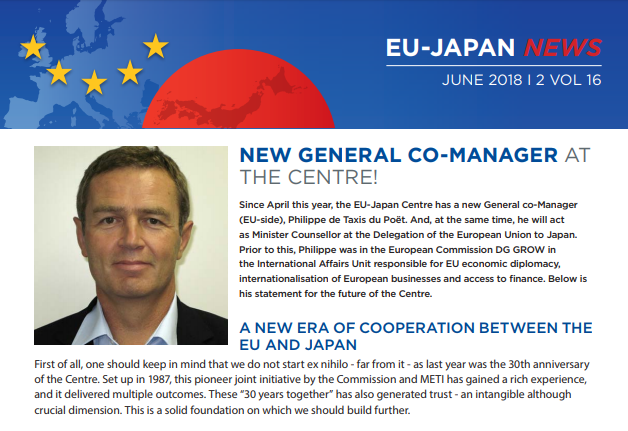 The newest issue of the June 2018 Newsletter is available now with the EU and Japan related news, partnering opportunities, Enterprise Europe network news and lots of other useful information and links. 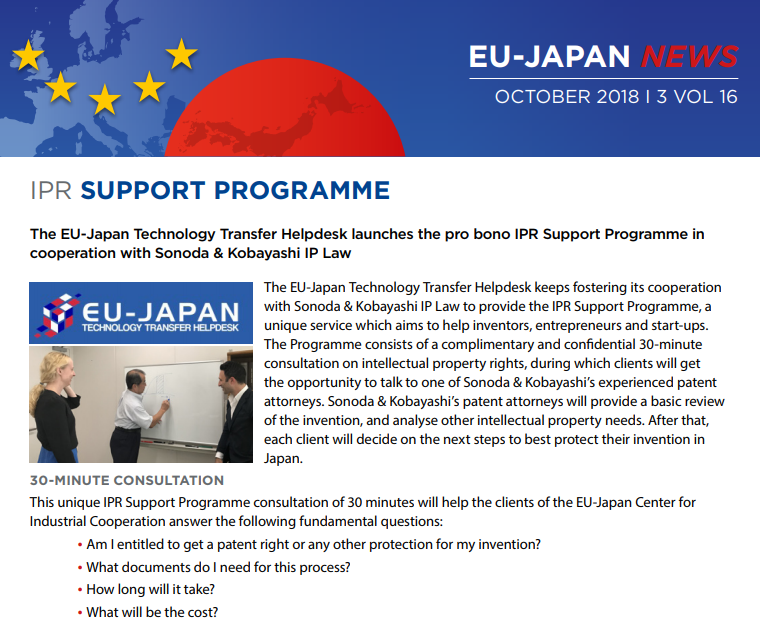 You can read full Newsletter here! Ireland Japan Association is delighted to welcome Irish interior and design company Shoji Screens Ireland (t/a WoolinWood) on board as a Corporate member and is looking forward to a long lasting and successful cooperation. 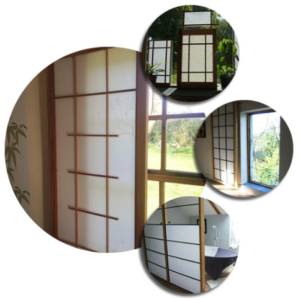 Shoji Screens Ireland produce handmade Asian style shoji screens and insulated sliding wooden shutters. The idea for Shoji Ireland came into being about 25 years ago. Company’s designer Jim Kennedy, lived, worked and travelled in Japan from 1990 to 1995. While there, he came to appreciate the beauty of the country and the culture, and to understand the deep idea of how life and nature can blend to create something beautiful. 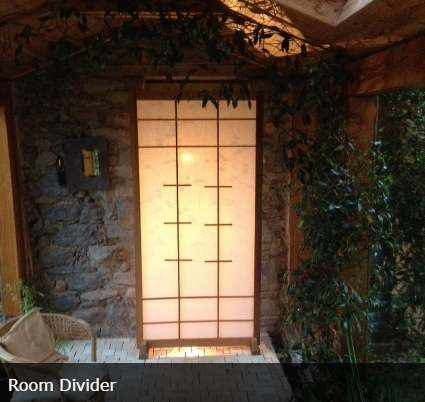 Shoji screens reflect this idea; combining light, beauty and functionality while creating a calm ambiance. 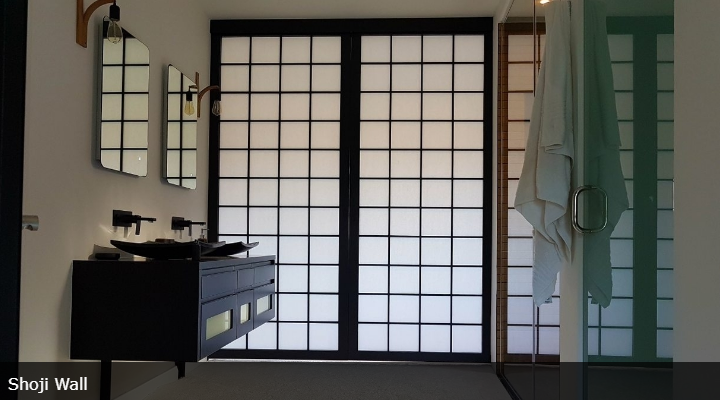 ‘Here in Ireland, a country of travellers who draw inspiration from the world over, we are now making shoji screens for windows and doors to enhance the beauty of our interiors and show how light, nature and privacy can come together to increase comfort and relaxation in the home,’ says Aisling Pierce, WoolinWood Sales Manager. 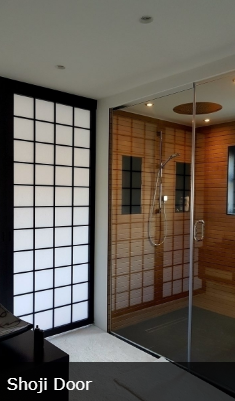 ‘Our designer, who spent a significant period in Japan, along with skilled craftsmen based in Counties Tipperary and Carlow, custom-make our products to the exact requirements of the customer, after a comprehensive consultation and home measurement service for our sliding screens and shutters. Our free-standing shoji can also be customised (height x width) to fit your home and individual colour requirements can be accommodated. Insulated WoolinWood shutters and doors are a patented product which Jim invented specifically for the draughty Irish context when building his own home here on his return from Japan’ explains Aisling.